Golf Chats - Page 160 of 160 - Let's talk golf! Learn bunker play from the Master, Phil Mickelson! Bettinardi Putters 2015 – are they worth it? My own thoughts are that if a putter works it is priceless. Almost all Gary Players Major Championships were won with a putter he paid $5 for in a “Sale” barrel in a golf shop while playing in a tournament in China with Arnold Palmer. Bobby Locke, who is still regarded as one of the best putters who ever lived, played with a hickory shafted banged up blade putter and won 4 British Opens with it. Check out what mygolfspy.com has to say about these 2015 putters! We all look forward to different things around the holidays. Some look forward to seeing family and friends. Many impatiently await the return of egg nog, while others revel in the rebroadcasting of Rudolph, Bumbles, and the other animated holiday favorites. I too look forward to that cadre of holiday returnees, but my true anticipation lies not for yule and airing of grievances. For me, the frosty season is not about the cheer, it’s about the gear. While we have seen a good portion of the 2015 drivers, and a few sets of irons, we have not yet seen any of the new year’s putters. Today we change that. We get the putter lover in on the 2015 golf gear anticipation. Today, we get to see what 2015 holds forBettinardi Golf. We are not going to check out just one of the putters, or even one of the lines. Instead, we have all of them. We will show you the new Studio Stocks, the Queen B’s, a new Kuchar Model, a pair of DASS Signature Models, and something brand new, andinnovative from them that is unique enough that it needs it’s own new product line. We’ll let you read what Bettinardi says about the new putters, see in-hand photos from all angles, and give you a touch of inside the ropes play testing. We’ve got all you need to know about what Bettinardi has in store for the coming year. Let’s get it started with the new 2015 Studio Stocks. Check out these rest of this article and see these Studio Stocks right here! 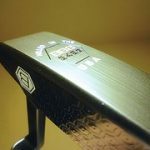 Post your comments below on your thoughts on this matter once you have read the article on these very popular putters.